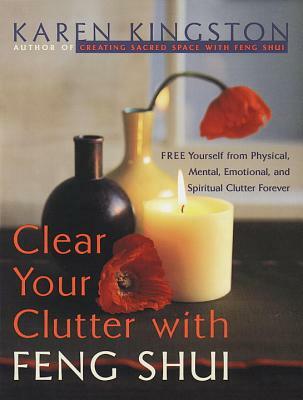 Clear Your Clutter and Transform Your Life! Karen Kingston's first book, Creating Sacred Space with Feng Shui, is an international bestseller. Karen divides her time between Bali and London, and she teaches to packed audiences in the United Kingdom, the United States, and around the world. "A great book and long overdue. I have read it twice in a week. . . . Thanks, Karen Kingston, for helping me to simplify my life in a joyful way." "Elevates cleaning clutter from a mundane task to an experience of the sublime."